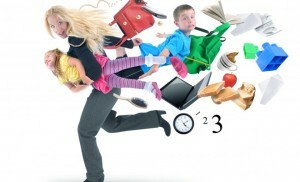 More and more, I come across clients and friends who suffer from the chronic and widespread addiction of Too Busy. They may be Too Busy to play with their children or have lunch with an old friend. Perhaps they’re Too Busy to see family, near or far; or to join that volunteer group they so admire. Worst of all, they are probably Too Busy to take loving care of themselves. The expression,” If you want something done, give it to a busy person…” is the mantra that fuels someone who can’t say no. For the person who is Too Busy, time blurs and the globe spins faster. There is always “one more thing to do” before they can push away from the addiction that keeps them tethered to work (or whatever it is that consumes them in an unhealthy way), and from leading a life of balance. Striving toward a balanced life doesn’t mean work isn’t important. It doesn’t mean shirking responsibility or sticking your head in the sand. And, it isn’t the end result that really matters because everyone loses their center of balance upon occasion. What matters is that we recognize our addiction and take nurturing steps to address it, keeping a balanced life in mind, all the while. And for those of you who are stuck at full-tilt Too Busy, I am always here to help.